Holy Writ declares: "The Torah is PERFECT in converting the soul." Indeed, when the Torah is applied to a heart, a liquefaction occurs in which a stony, rebel melts in the heat the Torah generates and begins to fall in love with the Messiah. How can this be when the pagan christian world claims the Torah is such a burden???? When I began keeping and preaching the Torah, I immediatly noticed a change. 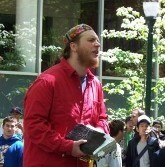 By 2002, after a few months of preaching the fullness of the Torah and living it out, I immediatly saw a sinner repent at PSU. This would only be the first. When I travelled to campuses in 2000, before I knew Torah, Ken and I saw little if any fruit. 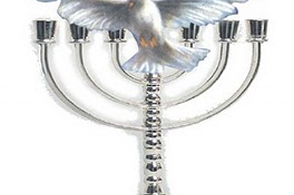 By 2003, when I hit the road with the Torah-gospel, in the space of less then 60 days, I saw multitudes repent. One in Fresno, one and maybe 2 at UCLA, 2 at Arizona State University, 1 at University of New Mexico, 2 at University of Alabama, several at University of Oklahoma. This was all in the space of mere weeks. Brother Chris and Brother John Smart (the latter who has not even been convinced yet to keep all the Torah) both commented at how amazing the anointing fell. Brother Chris, who attended Jed's conference in 2000 and saw the preachers from across the country in action, said he had NEVER seen the type of anointing that had been upon my ministry. And why? Becaise I am special???? NOOOOOO. Because the Torah is PERFECT in converting the soul. Ray Comfort is beginning to see that truth although he denies the power by refusing to keep the Torah. But when you keep AND preach the Torah, truly hearts will melt, mouths will shut, sobriety will fall, and sinners WILL repent.. I have been exalting the Torah now for 41 days in the midst of you campus and street preachers, and many of your hearts are still very hard to Torah. Your hearts are so stony, that even the intense light being shone upon them is only now beginning to cause a liquefication. Will you submit, O vain pagan christian? Will you let your man-made heathen traditions go? Will you confess that you have inherited lies from the Roman Catholic and Protestant strongholds of darkness while rejecting the Jewish/Hebrew heritage of your Jewish Mesiah? These past 41 days, for many of you, is your day of visitation. Jed had his day of visitation in the late Spring of 2000, the last debate he ever tolerated in his conference. Jed missed his day and the kingdom has been removed from him. Trinity Christian Center had their day of visitation in 1997-1998, and because they eventually refused it, the kingdom has been removed from them. What about you, campus and street preacher? Will you heed the call in this day, the day of your visitation? Or will you continue to laugh and mock and scorn me, Daniel Lee, refusing the wedding invitation one last time as the Ruach finally stops striving with you? The invitiation is issued. It has gone forth. What will you do, pagan christian? Whom do you love more? Your false religion or the Word of YHVH?